Family friendly fun like nowhere else! 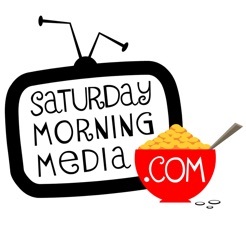 Now every morning can be Saturday Morning with the Saturday Morning Media app! From audio dramas to video podcasts, you get all of the Saturday Morning Media content in one convenient app! The Uncle Interloper Show, Saturday Morning Theatre, The Tales of Deputy Guppy, The Adventures of The Thunder Crester, Grant’s Advent Calendar and more! They are all here in one, easy to access app for your mobile device! You will get new shows the moment they are released, plus you’ll get bonus content that is not available anywhere else! If you are a fan of any Saturday Morning Media shows, you won’t want to be without this app! Saturday Morning Media features family friendly content from the creator of award winning, Radio Adventures of Dr. Floyd and Jim Henson Company puppeteer, Grant Baciocco. Minor bug fixes and updated background.